Concentrating vitamins and minerals, rich in unsaturated fatty acids and in potassium, full of antioxidants : the avocado is a fruit of thousand virtues. Formerly considered as an exotic fruit eaten at special events, the avocado is now a leading product of contemporary cuisine and available all year long. But the environmental – massive deforestation, overconsumption of water – and human effects coming from its overproduction are more and more worrying. While Mexican researchers are currently trying to develop the genetically modified avocado of the future to answer the overconsumption of the fruit, will the avocado be the unfortunate victim of its own success ? Concentrating vitamins and minerals, rich in unsaturated fatty acids and in potassium, full of antioxidants : the avocado is a fruit of thousand virtues. Formerly considered as an exotic fruit eaten at special events, the avocado is now a leading product of contemporary cuisine and available all year long. But the environmental – massive deforestation, overconsumption of water – and human effects coming from its overproduction are more and more worrying. 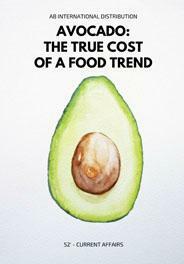 While Mexican researchers are currently trying to develop the genetically modified avocado of the future to answer the overconsumption of the fruit, will the avocado be the unfortunate victim of its own success ?